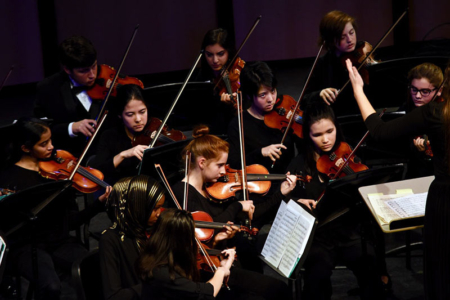 The Chamber Orchestra is designed to provide string players the experience of learning a broad range of chamber music composed specifically for strings only. The Chamber Orchestra is open to all string students. No audition is required for enrollment; however, participation in junior high orchestra or equivalent experience is a prerequisite. For further information, please contact music instructor Angelo Moreno.